The Declaration of Independence, U.S. Constitution, and the Amendments to the Constitution, all in a handy pocket-sized booklet. 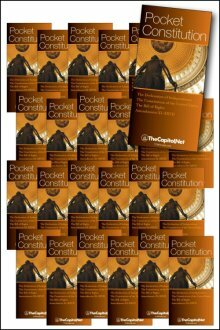 Our Pocket Constitution is available for purchase in multiples of 25 copies with Free Shipping. Single copies are available for $5 each including shipping. Available for purchase in multiples of 25 copies. 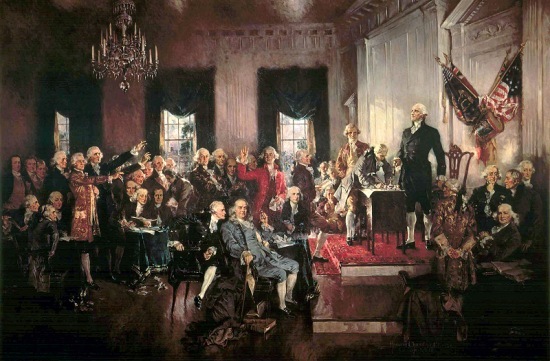 For an online annotated version of the Constitution, see See the Constitution on HobnobBlog for text, videos, and other resources.